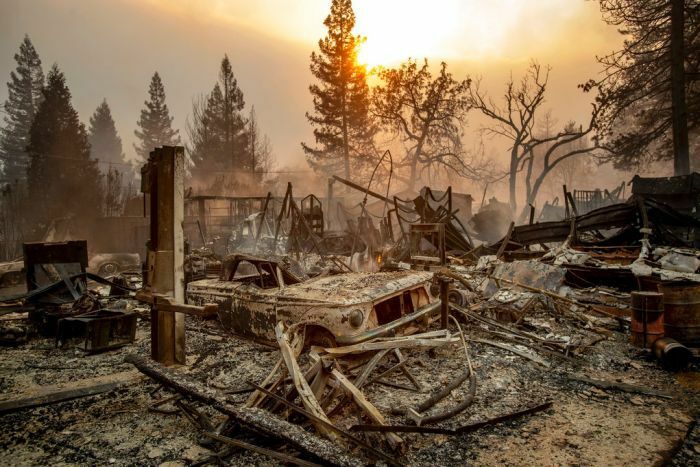 Five people have been found dead in their burned-out vehicles after a northern California bushfire incinerated most of a town of about 30,000 people with flames that moved so fast there was nothing firefighters could do. 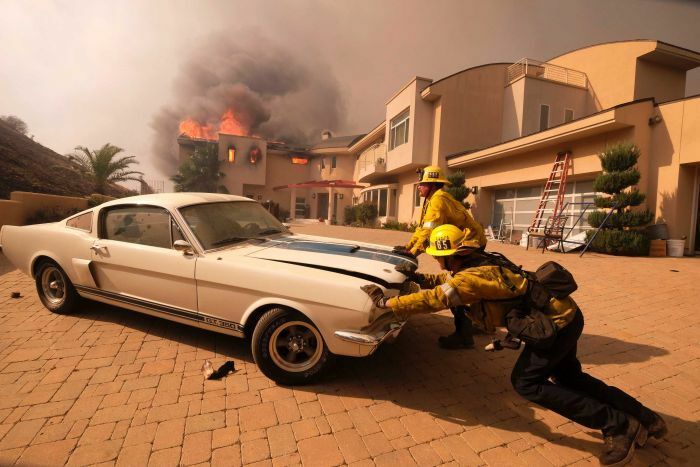 With fires also burning in Southern California, state officials put the total number of people forced from their homes at 157,000. 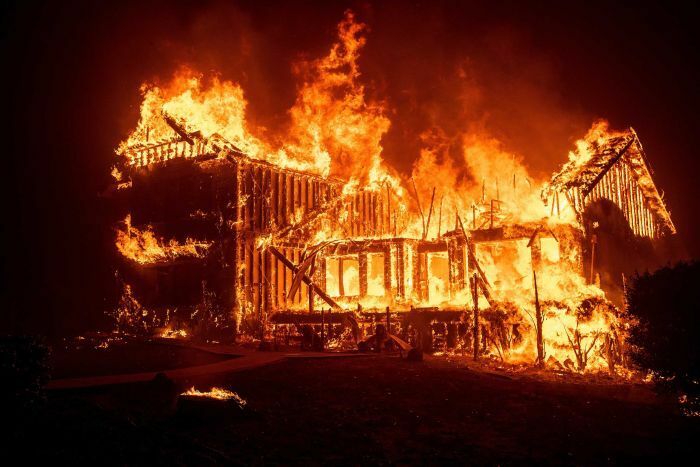 Only a day after it began, the fire near the town of Paradise had almost quadrupled in size to nearly 285 square kilometres, with investigators finding five people dead in vehicles that were torched by the flames on Friday (local time). Officials said the bodies could not immediately be identified because of the burns they suffered. 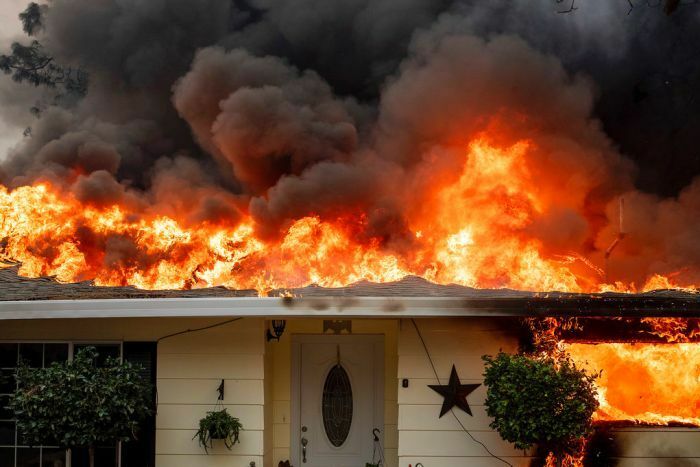 “There was really no firefight involved,” Captain Scott McLean of the California Department of Forestry and Fire Protection said, explaining crews gave up attacking the flames and instead helped people evacuate. The entire town was ordered evacuated, setting off a desperate exodus in which many motorists got struck in gridlocked traffic and abandoned their vehicles to flee on foot. People reported seeing much of the town go up in flames, including homes, supermarkets, businesses, restaurants, schools and a retirement centre. The dead were found in the same part of Paradise, the Butte County Sheriff’s Office said. Her publicist could not confirm the status of her house, but told Reuters Jenner was safe. TMZ also reported the fire had reached the grounds of the mansion in nearby Calabasas owned by Kardashian and husband rapper Kanye West. Kardashian posted on social media late on Thursday she “had just one hour to pack up and evacuate our home”. The TMZ report could not be confirmed but West tweeted on Friday that “our family is safe and close”. 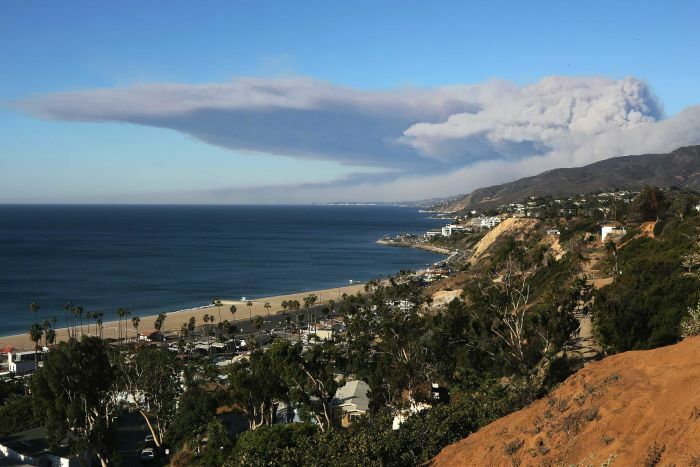 The entire 12,000-strong population of Malibu, which stretches 43km along the Pacific Ocean in Southern California and up into the Santa Monica mountains, was placed under mandatory evacuation as the Woolsey fire jumped a freeway, fire officials said. Malibu and nearby Calabasas are home to hundreds of celebrities and entertainment executives attracted by its ocean views, rolling hills and large, isolated estates. Residents posted pleas on social media for help evacuating horses and other large animals from ranches, while long lines of traffic clogged the only coastal highway in and out of Malibu. Oscar-winning director Guillermo del Toro tweeted that he had abandoned his vast Bleak House museum collection of fantasy and horror memorabilia, while singer Etheridge said she had moved into a hotel due to the fire. Milano, a leading force in the #MeToo social movement against sexual harassment, asked for help getting five horses out of the area. Traffic was jammed on sections of the Pacific Coast Highway. The Santa Monica Mountains National Recreation Area said the fire had apparently destroyed the TV and movie production location known as Western Town at the historic Paramount Ranch. The park service said the ranch served as locations for productions ranging from 1938’s The Adventures of Marco Polo to television show Dr Quinn, Medicine Woman, and the more recent shows The Mentalist and Weeds. Another fire was burning further west in Ventura County, also moving toward the ocean. In rural areas of Northern California, many homes have gas tanks that were exploding amid the flames. “They were going off like bombs,” Karen Auday, who escaped to a nearby town, said. Captain McLean estimated the lost buildings numbered in the thousands in Paradise, about 290km north-east of San Francisco. 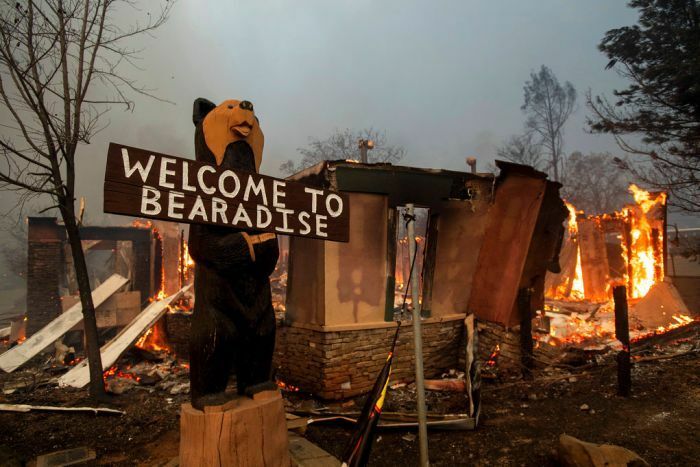 The massive blaze that hit Paradise spread north on Friday, prompting officials to order the evacuation of Stirling City and Inskip, two communities north of Paradise along the Sierra Nevada foothills. 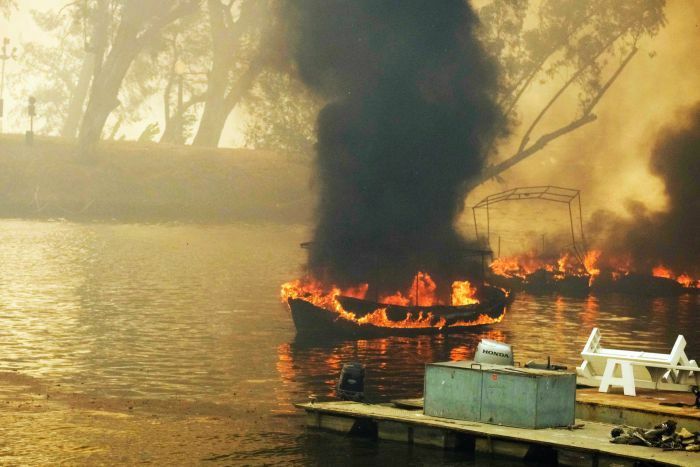 The wind-driven flames also spread to the west and reached the edge of Chico, a city of 90,000 people. 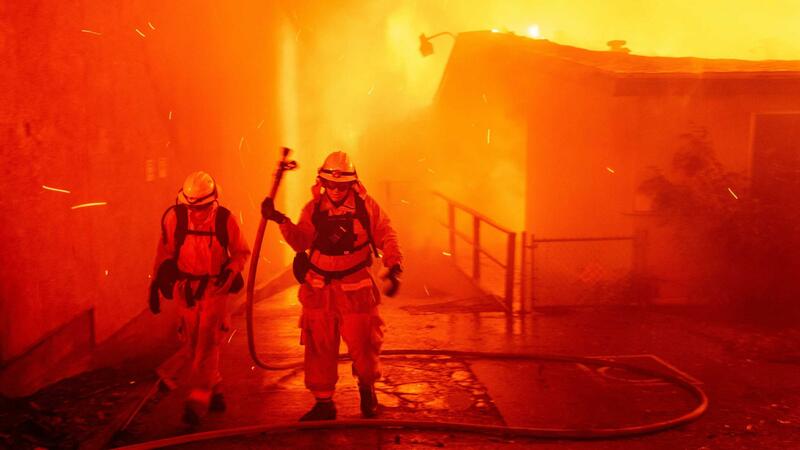 Firefighters were able to stop the fire at the edge of the city, where evacuation orders remained in place on Friday, California Fire Captain Bill Murphy said. The winds calmed down in the valley, but they were still shifting and erratic, with speeds of up to 72 kilometres per hour along ridge tops, he said. 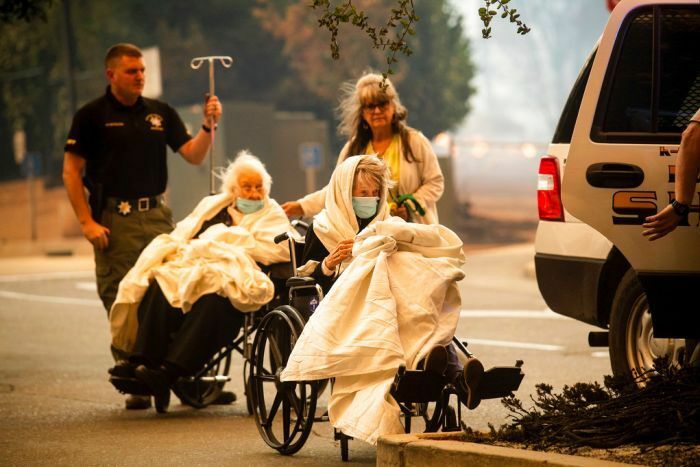 With ash falling and the sky darkening to a menacing shade of black, evacuees from Paradise sat in stunned silence on Friday outside a Chico church where they took refuge the night before. They all had harrowing tales of a slow-motion escape from a fire so close they could feel the heat inside their vehicles as they sat stuck in a terrifying traffic jam. When the order came to evacuate, it was like the entire town of 27,000 residents decided to leave at once, they said. Fire surrounded the evacuation route, and drivers panicked. Some crashed and others left their vehicles by the roadside. A nurse phoned Rita Miller at about 7:00am on Thursday, telling her she had to get her disabled mother, who lives a few blocks away, and flee Paradise immediately. Ms Miller jumped in her boyfriend’s rickety sports utility vehicle, which was low on fuel and had a bad transmission. She instantly found herself stuck in gridlock. “I was frantic,” she said. After an hour of no movement, she abandoned the truck and decided to try her luck on foot. A stranger in the traffic jam rolled down her window and asked Ms Miller if she needed help. The stranger ended up helping Ms Miller pack up her mother and she took them to safety in Chico, which took three hours to travel the 22km from Paradise.